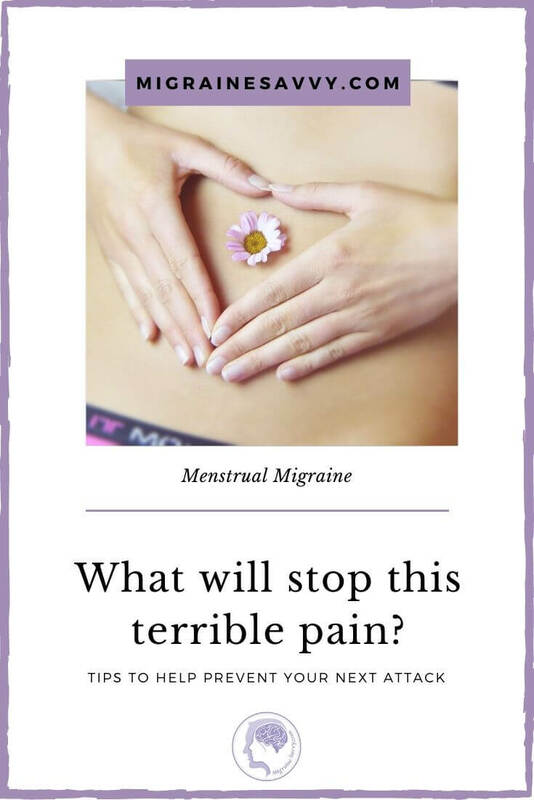 The problem with the menstrual migraine treatment, associated with a woman's menstrual cycle, is there is nothing we can do about having hormones! Chronic migraine sufferers learn to identify their triggers and how to avoid them if at all possible. But how to fight an uncontrollable trigger? These migraines are usually triggered by the fluctuations of the hormones during the menstrual cycle and can range from mild to debilitating. A tip to help you avoid these migraines is to learn what your hormone pattern is. Every woman is different. Some women with migraines notice that their migraines hit during ovulation. Others claim their headaches hit during the mid-cycle of their monthly period, while yet others suffer all through their menstruation cycle. 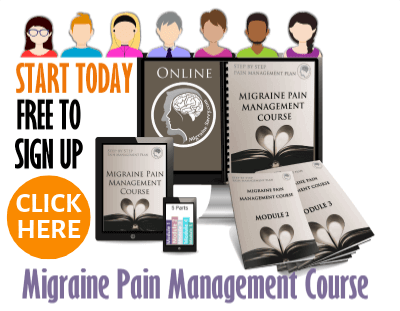 It is possible to treat your migraines or even prevent them, by learning at which time in your menstrual cycle, your hormones trigger your migraines. Keeping a migraine diary will help you take control of your headaches. Getting appropriate rest is highly important. Your neurologist will ask you about your sleep patterns. Your body needs rest, but it is even more important during your menstrual cycle. This will allow your body to gain energy and to have the nutrient levels necessary to function properly. During your menstrual cycle, you might find it helpful to eat home cooked meals, because the nutritional balance can be better suited to your body's needs. Some migraine sufferers avoid processed foods around this time of the month. Be sure to stay well hydrated, water is very important to the cellular function of your body. Hydration does seem to have a positive impact on migraine reduction. 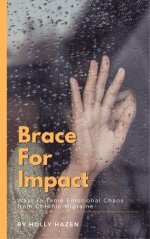 THE best book I have read on this subject is Fighting The Migraine Epidemic. It is a must read. One of the most important aspects of avoiding a migraine is learning to relax. After you have gone through the process of identifying your hormonal migraine time-frame, you need to take extra care to de-stress yourself during these times. Everyone seems to live a hectic life these days, so check your schedule and make sure you pencil in some downtime for yourself when you know you'll need it. This downtime is highly important not only for helping you to get the relaxation you need but to stop potential migraines. I always say, every one you can stop is a victory in itself. Every menstrual migraine sufferer is different. Some people respond to ice packs and others don't. The only thing you can do is to try it and see, if the ice does not work for you, then try heat instead. Click here to read exact details about how to treat a migraine with ice and heat. If all else fails, use medication at the first sign of a migraine. They are listed below. Some people have auras; some people have a sixth sense when predicting the onset of a migraine. 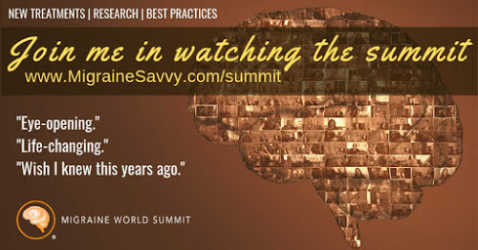 It doesn't take people long to notice the signs and symptoms of an impending migraine. This ability is especially important so that you can medicate yourself immediately. Always carry your migraine medication with you at all times. When you feel a migraine coming on, it is very important to go ahead and take your medication. Many times just waiting 30 minutes, can cause a more severe migraine that lasts longer. To learn about getting your timing right, I highly recommend reading this little ebook called Mindfulness over Migraines. 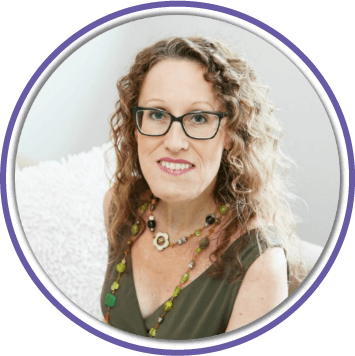 You will learn how the author learned to eliminate her migraine in minutes. It changed my life! Now I use it as part of my menstrual migraine treatment routine. Related to menstrual migraines, it is very difficult to remedy them completely. Unfortunately, many women continue to have these menstrual headaches until after menopause. Many things, including age controls our hormonal fluctuations. Managing menstrual migraines can be difficult, but is possible. There is hope, so keep reading. Step 1 - Talk with your doctor, and get the correct diagnosis. There are medical factors such as high blood pressure, smoking and family history, and the exact migraine diagnosis, that needs to be considered prior to developing your treatment strategy with your physician. Step 2 - Start a migraine diary and headache journal. Keep track of specifics and look for patterns with your doctor. Step 3 - Find some ways to relax and manage your stress around that time of the month. Step 4 - Develop a detailed pain management strategy with your physician. Make sure you write down what to take and when. Plan for a worse case scenario, so you will be prepared if the headache does turn into a more severe migraine attack. They are treated differently, so make sure you are clear on this. 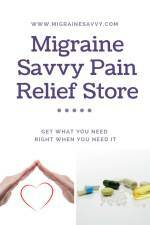 You might like to read migraine vs headache for more details on the differences in medications that work best. I take Naramig for all my migraine attacks. Thankfully it stops them in their tracks. It was not always that way. It took me 14 years to find effective relief. So hang in there. You will find what works. If I did, I am confident you will too. Being stubborn holds in our favor just now! 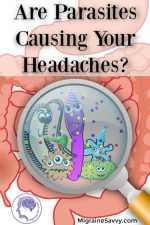 According to Headaches.Org the ways to handle menstrual migraine treatment is with acute and/or preventive medications. and the combination of aspirin, acetaminophen, and caffeine (AAC). Your physician will prescribe the best combination for you. S/he may also consider treatment using analgesics or corticosteroids if the above medications don't work well enough. If you get very frequent and severe attacks, a common menstrual migraine treatment is to take migraine prevention medications daily. It is best to take them at the same time each day for maximum effectiveness. As you experiment with getting good results, be prepared to have your dose altered occasionally. For example, the dose might be raised just before menstruation. If you don't have to, or feel you don't need to take a daily prophylactic there are a few other options. 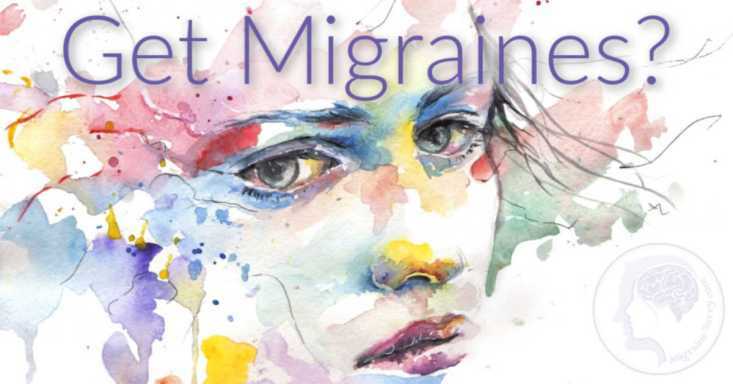 If you have been diagnosed with menstrual migraine, where you have a few days each month you know are going to have or are most likely to have a migraine, short-term prophylaxis medications can be taken. a triptan, such as frovatriptan 2.5 mg twice on the first day and then 2.5 mg daily/ naratriptan 1 mg twice a day/ sumatriptan 25 mg twice a day/ or, methylergonovine 0.2 mg twice a day; until it passes. DHE either via nasal spray or injection 1 mg twice a day; for severe menstrual migraine treatment. And magnesium, equivalent to 500 mg twice a day. "The triptans, ergotamine, and DHE can be used at the time of menses without significant risk of developing dependence. As with the NSAIDs, these drugs will also be more effective as preventive medications if started 24 to 48 hours before the onset of the expected menstrual related migraine." (ibid.). "Fluoxetine, especially if the headache is associated with other premenstrual dysphoric disorder (PMDD) symptoms, can be an effective headache preventive between ovulation and menses." (ibid.). Menstrual Migraine Treatment Resource: National Headache Foundation (2007) Menstrual Migraine [Online] Available: http://www.headaches.org/2007/10/25/menstrual-migraine/ Accessed Feb. 4, 2016.